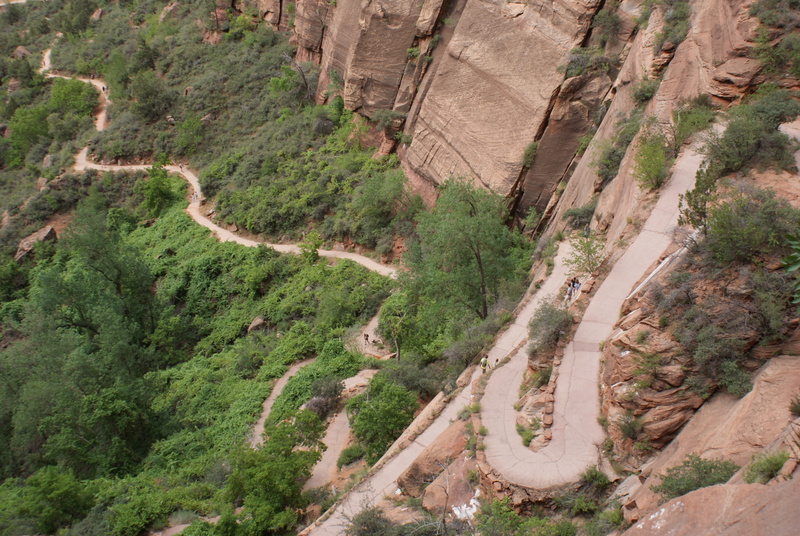 On the way to Angels Landing - Zion N.P. 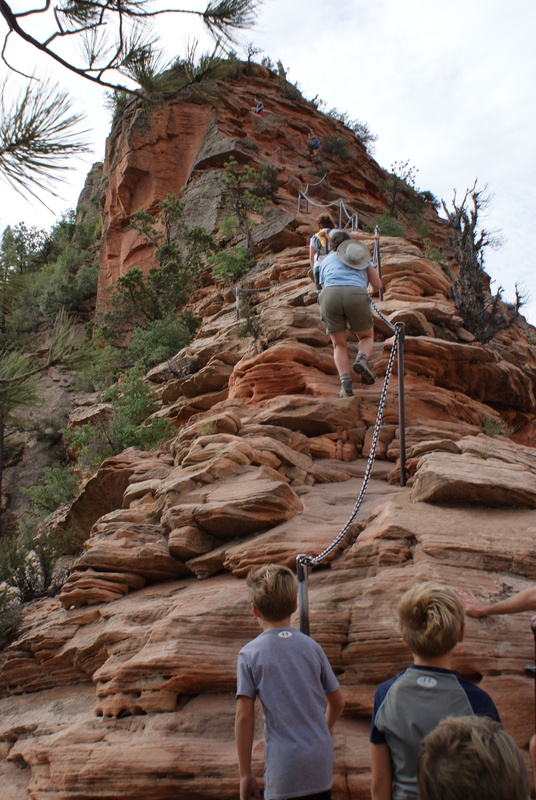 Ascending to Angels Landing - the kids loved it. « How to choose a family holiday destination (part 2). Wow.. Look at the road, too dangerous… I wonder how they made such a road in the middle of high hill.. It is pretty incredible – it’s called Walters Wiggles and was built in the 1920’s – not for cars, only people!